Making the most of your time in the Irish capital. Anyone who has spent an extended period of time in Paris understands the desire to escape the big city for a time, in search of some place quieter and greener. There is no better remedy for this than a trip to the capital of the Emerald Isle. Compared to Paris, Dublin is remarkably quieter, and the center of a network of transport than can take travelers anywhere across the lush countryside. Still, even if someone plans on spending their entire trip in Dublin, it’s a city with plenty of opportunities to make warm and lasting memories. For those traveling on a budget, the first choice for travel is usually Ryanair, a well-known budget airline. Flights between Dublin and Paris through this airline can be snagged for around €20 each way if shopped correctly, but can reach over €60 per leg. Even in the worst case scenario of paying around €120 round trip, the major drawback of choosing Ryanair is having to make the trek to Beauvais airport. The airport can only be reached by shuttle, and adult round-trip tickets run at €29 if booked online, €34 if purchased in-person. The bus ride is an extensive hour and fifteen minutes long. The shuttle, along with safety concerns for many low-budget airlines, are precisely what deter most people from taking this route to Dublin. For someone looking for a less expensive and stressful trip to Dublin from Paris, the best solution is usually to book an Aer Lingus flight out of Charles de Gaulle. If shopped carefully, these flights can sometimes go for as low as €80 round-trip. The transport to the airport is an easy ride on the RER B, and tickets are only €10 each way, with a travel time of only around 40 minutes. The RER terminus is right inside the airport, making it simple for travelers to proceed to their airline. Besides flight details, housing during a trip is always a major concern when visiting a new place. For travelers on a budget, one question arises: hotel or hostel? Hotels in the city center are pretty standard in their price range — around €100 per night. Lower prices can be found if you’re willing to stay outside of the city, but the commute on the Luas tram can be extensive. The best option for someone wanting to be immersed in the culture of Dublin is to stay in a hostel. Dublin is a city of pub crawls and live music, and there is a strong hostel culture because of this. Because there is are serious legal restrictions on driving under the influence, hostels became a necessity for locals who wished to enjoy a night on the town without ending up behind bars. Travelers who opt to stay in a hostel will most often be sharing their room and the common room with Dublin locals, and this is a great way to get tips and make connections in the city. Abigail’s Hostel comes highly recommended, as it is located in the center of the city, a 2-minute walk from the bar district, and rooms can be as inexpensive as €15 a night. By day, Dublin is typically cold, overcast, and incredibly windy. Most people opt to spend their days either in pubs or museums, and the city has an abundance of both. Temple Bar is the name for the pub district of Dublin, and it is known as the cultural center of the city. This area is a charming collection of cobblestone streets, surrounded by colorfully painted bar fronts and the warmth of twinkle lights. 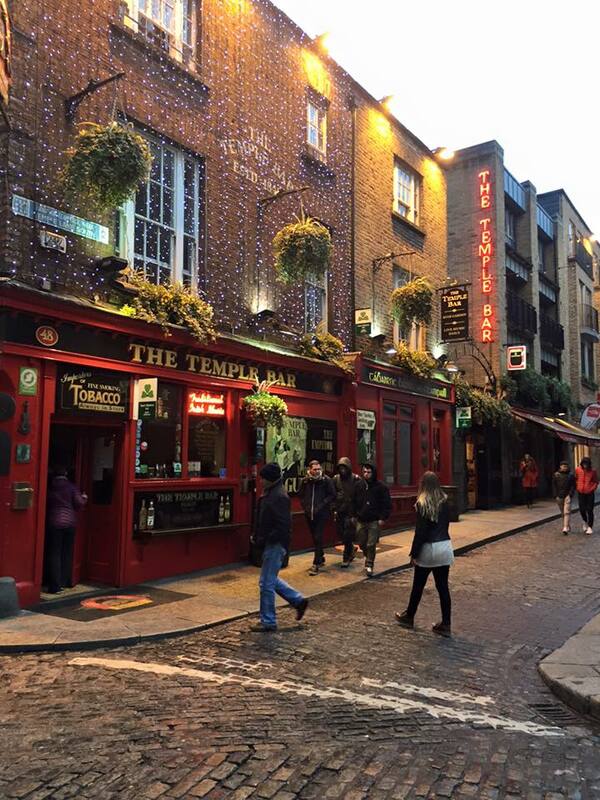 Most hostels offer a free pub crawl around Temple Bar each night, which is a great way to meet people and experience the collection of pubs in the district. But by day, Temple Bar is the absolute best place in the city to find warm Irish stew or cottage pie. A few blocks from this area is Dublin’s main thoroughfare, O’Connell Street. Here, travelers can find tourism offices with free maps to all of the nearby attractions, including the Leprechaun Museum and St. Patrick’s Cathedral. These are great options for anyone hoping to do some sightseeing on a cold day. 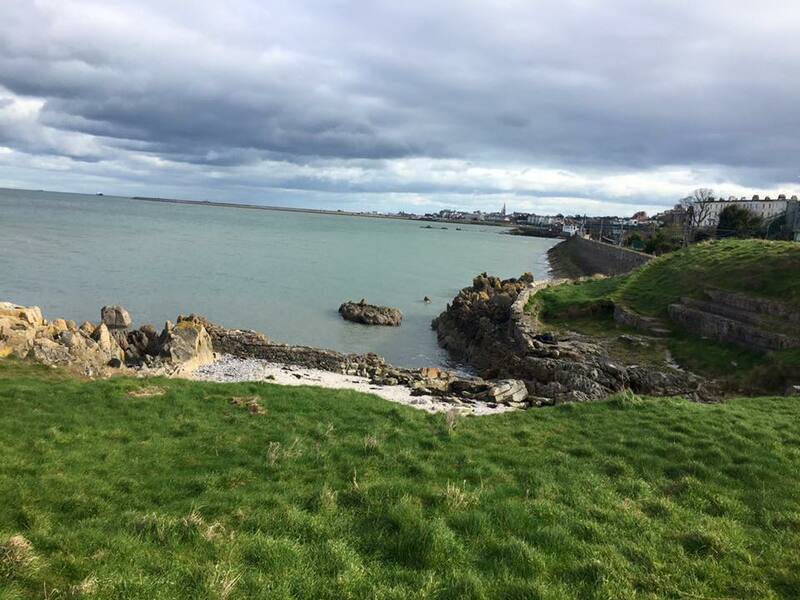 On the rare occasion that it is a warm day, or if a traveler is braver than most, there are lovely beaches just outside of Dublin. Just a short bus ride away, the beaches are a quiet and peaceful escape for anyone who wants some down time during their trip. If travelers are looking to see other parts of Ireland while staying in Dublin, it is the perfect place to be based. There is a network or buses — tourist and otherwise — which leave from Dublin’s main street towards other cities in Ireland. Paddywagon, which is one of the main tourism companies in Dublin, offers coach day tours to Irish tourist destinations for €25. Public transport options are around half the price, but these do not include tours. For someone visiting Ireland for the first time, the tours are well worth the money. 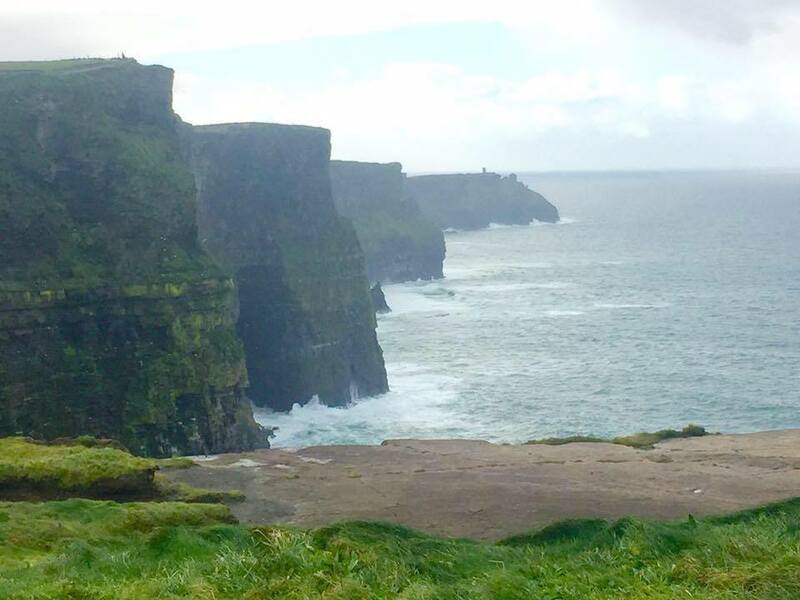 Some of the most popular destinations include the Cliffs of Moher, Wicklow Gap, and Galway city. But no matter where one visits in Ireland, the lush landscapes and deep history are unforgettable. Ireland is a country which thrives on folklore, and tour guides are well-versed in tales which will leave a lasting impression. Writing plays, singing songs, and studying literature in the hopes that the pieces will fall into place on their own.